It became very popular from 2015 after publishing the book “The Year of Living Danishly: Uncovering the Secrets of the World’s Happiest Country” by Helen Russell. Let me explain in my words. Hygge (pronounced hue-guh) is a Danish word. The source of the English word is “Hug”. A very close translation of this word is coziness. Danes use “hygge” as a noun and an adjective both. They also have a specific adjectival form, “hyggelig” (pronounced “HUE-gah-lee”), means things that have hygge. Denmark was the world’s happiest country according to the 2016 World Happiness Report. Danes focus on the small things that really matter. They believe in staying happy in present. It’s not all about coziness. Hygge has wider meaning that we should understand and can apply anytime in our life that really we need. Hygge living means spending time with friends, reading a book, connection with nature, believe in simplicity. Let’s discuss hygge living broadly and why it is the key to true happiness. Feeling good is the part of hygge living. It can be along or with family and friends. 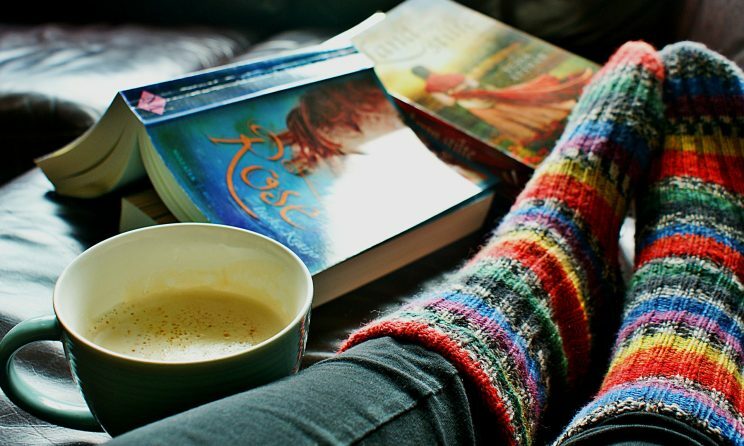 Hygge living can be sitting on the couch with a book and a cup of tea of course with a blanket. Quality time with family and friends is another best-enjoyed part of hygge. Laughing, drinking, joking, having intimate dinner or watching TV together with all your nearest and dearest people give us happiness. We all are surrounding with the digital world. Going shopping mall for spending so-called “quality time”, buying expensive things are not coming under hygge living. Remember appreciating small and simple things can bring joy into our life. We finish one task and rush for another. We constant rush to complete our to-do list. To truly hygge you need to slow down, give a proper relax after each work. Hygge living is believed in enjoying what you are doing now. Each moment of your work should be enjoyed by you. Some think and worry makes us reckless and gives us stressful life. You need to let yourself relax and give yourself time to take for another task in proper hygge. A Danish chef named Claus Meyer says in the New York Times article that when Danes gather for a meal, they often start with appetizers, then go out for a two-hour walk before the main meal. This unhurried pace is part of the hygge experience. Hygge living is more into indoor activities. Living hygge means enjoying the sights, sounds, and smells of nature too. Playing anything outside or picnic with family and friends also part of it. In winter people may not able to go out and enjoy nature but in summer you can go out with friends and have fun activities like a picnic. As I said earlier that you have to make a proper environment for hygge by creating by self. Make friends in any local park it will develop social connectivity too. Keeping things simple is a major part of hygge. It’s all about to enjoy simple things in life. It can be as simple as treat yourself with your favorite coffee or soup. Even if I talk about kitchen and cooking than hygge life teach you to make there all simple also. Like you don’t have to follow a very good recipe with the help of a book. Just make a simple soup or roast chicken or chicken noodles soup are more than enough in hygge. Most importantly it should be warmth and comfort without fuss. Listening birds songs hygge rather. But listening to music from YouTube and going through your Facebook or Instagram not part of hygge at all. Starting your day or keeping your phone all day is part of it. The TV is okay but when you and your family or friends watching anything together. Buying lots of expensive things are just the opposite of hygge lifestyle. It is base on more simple and natural things. So buying stuff for feeling comfortable is not call hygge living. It is not all about buying candles also. Candles create your home fresh and your surroundings atmosphere becomes hyggelig. So its emphasis on comfort lifestyle, not just lighting candles. Busy with social media is not hygge too. It is an antidote to modern life. Simple and comfort life is the main key of hygge. Embrace fully present to get real bliss from simple things and living the moment is not possible when you are always staring at your phone. So put your phone down and feel your blissful mind. Going shopping malls and eating fast food is not considered as hygge. Even going out to a trendy dance club, with flashing lights and pulsing electronic music, is about the most un-hygge activity ever. Dim your room’s light and use candles. Candles are a vital part of hygge. But remember do not use any scented candles as they ruin natural things. Any artificial candles are not allowed for hygge living. Beeswax is the best one for it. Enjoy this light and turn off all electric lights. It will create a calm, fresh and romantic environment. A little light from candle give you cozy but a fire gives you cozier in winter. A proper Hyggeligt (Cozy) is fire, fire from real wood, not an artificial source. Even you can use this flame of fire as making a meal. Enjoy the warmth of fire with some barbecue foods give you even more mental pleasure. Baking a fresh bread in a home will give you hygge from its aroma. From kneading the dough to straight to the oven is a simple and great journey with own. Of course, sharing that bread with friends and family is always a simple and ultimate pleasure. Hygge drink in Denmark is glogg, or wine. However, pretty much any hot drink like coffee, tea or hot chocolate can be added to a hyggelig atmosphere. If you are alone you can achieve this hygge life too. Although it believes in togetherness. Few hygge is there for single too like reading a book under a blanket. This is one of the best activity where you can slow down yourself from a busy and modern life. Walking is especially hyggelig when you do it with friends. This is a chance to connect with nature and you can know your friends better. Just listen to birds songs around you, see the sights mindfully and enjoy the breeze. If you are alone than go out with your cycle and you can feel the same. You can walk with your pets also. It will help you to take a break from your busy and stressful schedule. Watching a web series with your partner or friends is always welcome in hygge life. But watching something scary and even news I won’t recommend because it creates entirely the wrong mood. Cooking at home is much more hyggelig than eating out. Sharing meals build good bonding around you. It is an extra satisfying thing. Playing board games are a very hygge way to spend an evening. It is not involved with modern electronic-based games too. It a combination of three hygge things- togetherness, relaxation and simplicity. Cuddling is one of the best examples of hygge. The hygge elements involved are- comfort, relaxation, simplicity and share time with your loved one. Money cannot buy this warm and joyful happiness. Anyone in this earth wants to be happy. As you can realize from this article that materialistic things won’t give you mental happiness. The best thing about hygge is, it’s open for all. Practice hygge living gives you the meaning of living. It will teach you to the importance of taking a break from modern life. the major component of hygge is that you’re feeling present and spending quality time with yourself or your loved ones. So slow down and relax. The suggestions above will help you get started If you want to see if hygge living is an effective way of achieving lasting happiness in your own life too. In this article, I have shared actionable tips about hygge living. And I am sure the tips are simple enough to follow this Danish lifestyle. So if you can take action for starting a happy lifestyle, you can surely start reaping the benefits within days. Finally, let me know what do you think about this article on hygge living by leaving a quick comment below in the comment box. Great blog Ms.Moumita, it’s really nice to see & read that we have so many things around and within us but we are always running behind materialistic things. Nice to read new words too. You just catch my train. Yes, this is the life what we need now. Do explore my other article too. If you are new to our site then please subscribe and update your lifestyle with us. Thank Rohit for understanding the actual meaning of the article. Happy to see your reply. Share your hygge activities with us. Amazing blog.These words are really important in our lives and only these things matter at all in our life not all those article’s to live our life peacefully. We need dozens of these words in our boring life’s. Wow ! Such a great blog. It is really true that now days we forget that how to live. Really we need a peace ful hygge life. Learnt a new concept of life! Its true that materialism has distracted our life, so leading a hygge life will obviously give us enormous peace, knowledge and energy which is the real meaning of life. Thanks Moumita for sharing such a lovely idea.. Thank you Tridibesh, follow once and you will get real experience and add your favourite one . Let me if you want any specific article.